As preparations heat up ahead of the 2019 presidential election, the Nigerian Democratic Forum, a pro-democracy group has raised the alarm over plots by the United States, the United Kingdom governments and the European Union to impose a particular candidate on the people through the backdoor. 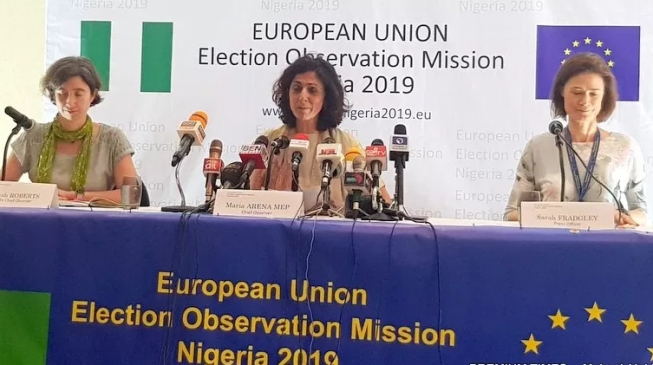 The group said the international community had perfected plans to make sure a candidate announced winner of the presidential election slated to hold on Saturday, February 16. Speaking at the press conference, the Director of Publicity for the group, Steven Chukwu, warned that any attempt to impose any candidate on Nigerians would be highly resisted.